Dangal Movie first look poster is launched (released) 2015. Dangal is Aamir Khan’s new upcoming movie in 2016. Release date of dangal will be 23 December 2016. Today Aamir Khan twitted Dangal first look poster image. The film has reportedly started their shoot schedule, and it is due to release on Christmas 2016. 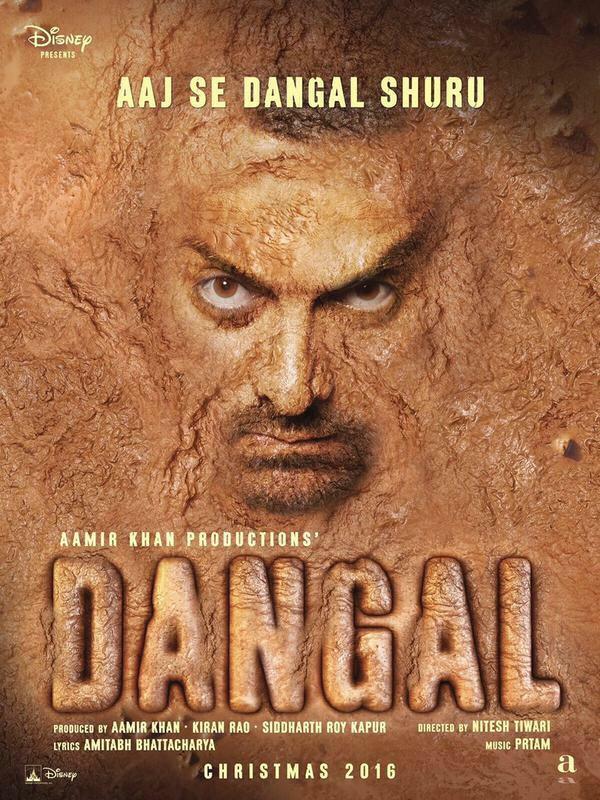 The poster doesn’t reveal much, apart from a gritty, angry looking Aamir Khan superimposed onto an image of mud, seemingly a wrestling pit. There have been rumours about the similarity between Aamir Khan’s film and Salman Khan’s upcoming Yash Raj film Sultan (where Salman plays a wrestler as well) but nothing has been confirmed so far. The film is based on wrestler Mahavir Singh Phogat who trained his two daughters to compete in the Olympic games and make India victorious. Below is the first picture of Dangal Movie poster. Give your opinion and reaction on Dangal movie poster first look and comment below in the comment zone below.